Today’s announcement of the GB Team heading to PyeongChang in February lists a record breaking 25 athletes across the ski and snowboard disciplines. 14 members of the team are representing Great Britain at the Olympics for their first time and they will no doubt be looking to the likes of more experienced Olympians such as Zoe Gillings-Brier and Dave Ryding for guidance. This team holds a lot of skill and represents a very bright future for UK snowsports. We cannot wait for the Games to begin and wish good luck to everyone involved in the Team GB Olympic journey. GB’s Olympic Team Freeskier Tyler Harding at Snozone Castleford. 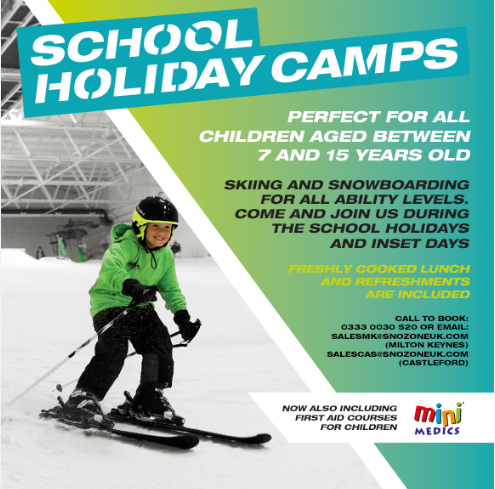 Follow in Team GB’s footsteps, learn to ski and snowboard at Snozone Castleford & Milton Keynes or Skizone Basingstoke!